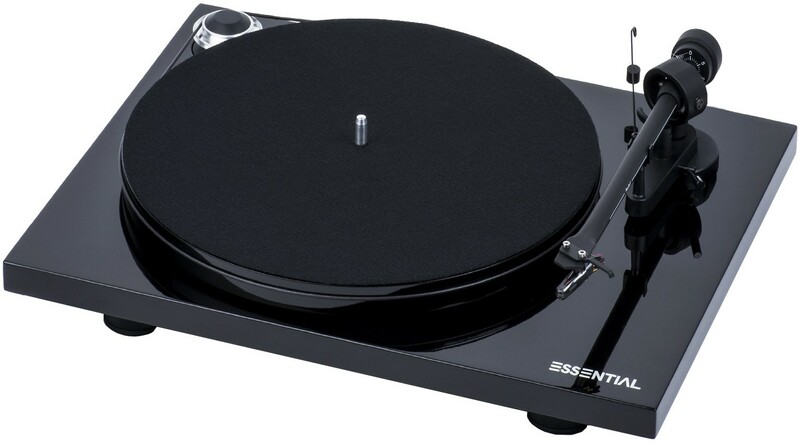 More impressive than ever, the Project Essential III is the 'go to' turntable at its price. Also available with an Acrylic platter. Pro-Ject Essential III is designed to delight people who enjoy music above everything else. The structure benefits from isolation feet, high quality Ortofon cartridge and low vibration motor featuring DC power supply, all of which lends to the class-leading sound. For precise pitch and timing as well as speed stability, it features a low vibration DC motor. The cheif bearing is constructed from stainless steel and is located within a bronze brushing and a Teflon coat. The integrity of this build is usually reserved for much more expensive models and provides remarkable sound clarity for its price. 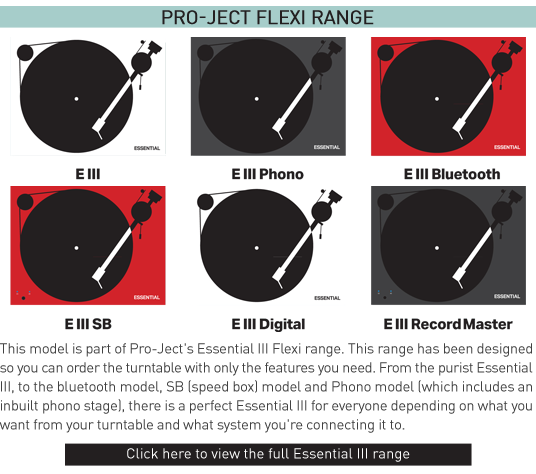 An upgrade to the popular Essential II turntable, the Essential III has a MDF plinth wrapped in a high-gloss paint finish (available in red, white or black). Beneath the plinth, there are triple anti-vibration feet, mounted to reduce or deflect exterior noise sources. 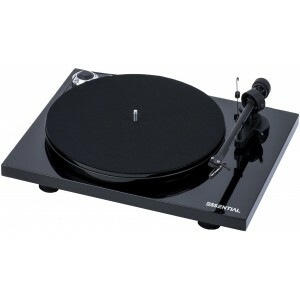 The deck is pre-fitted with a straight 8.6” tonearm made from a single piece of aluminium making it both light and rigid. The rigidity directs correlates to the precision, making record playback a more immersive experience. For long-lasting durability, the tone-arm is fitted with sapphire bearings. 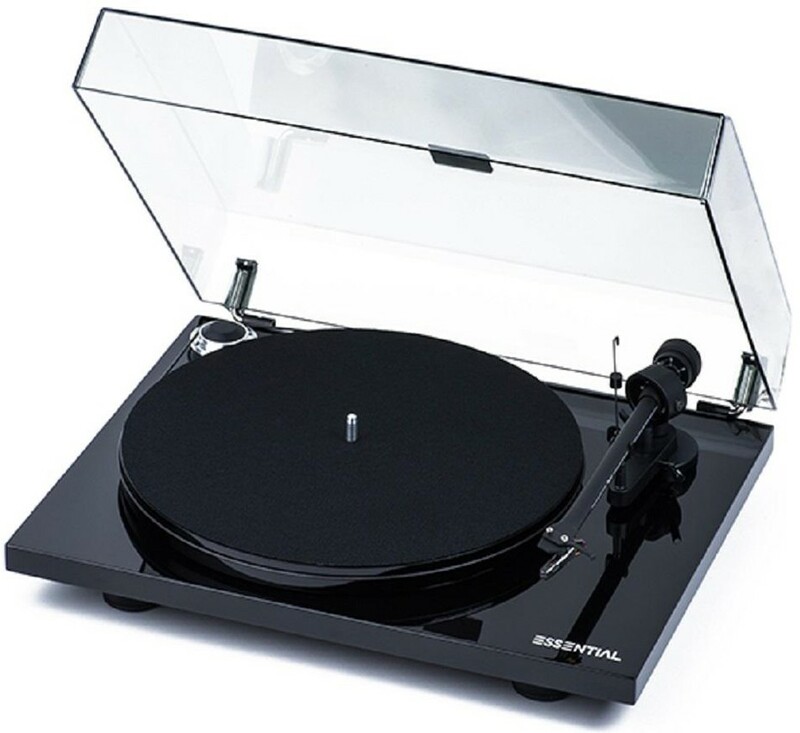 It comes fitted with a Ortofon OM10 cartridge which uses a finer elliptical stylus to get deeper into the groove for better sound and more detail. It uses the same 9V motor as the prior version but there is a fresh integrated grounding connection to augment reduction of electrical interference. Asynchronous AC functionality with an in-built signal generator, this motor is supplied with a new aluminium pulley.